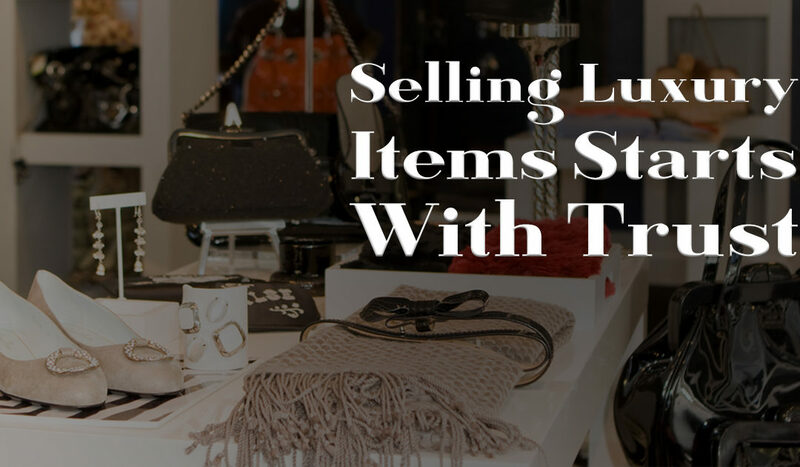 Many of our CrossPostIt clients use our inventory management software to post their luxury items including, clothing, shoes, handbags and other accessories to multiple e-commerce platforms online. Online luxury fashion sellers are a growing market segment and I know this personally because I am admittedly a shopaholic and shoe addict. I mean, the 40 pairs of just black shoes that I own could also be a dead giveaway. Through the purchases I’ve made, I have learned some hard lessons along the way from simply purchasing an item based on the photo shown. There are countless sites and social media pages dedicated to the sale of so-called luxury items, like the famed quilted Chanel flap bag that is a must-have or those gorgeous Giuseppe Zanotti Cruel sandals. Most, if not all, claim 100% authenticity of their items, however, are they all being truthful? How, if we choose to support their business efforts as consumers, do we keep from becoming a victim to replica or “designer inspired”, better known as knockoffs or counterfeit pieces being touted as authentic? In the age of social media, I searched #LouisVuitton and #Chanel, and hundreds of thousands if not millions of posts came up in the results. From celebrity hashtags of the luxury items to official pages of the fashion powerhouses, I had endless options on where I wanted to purchase from. After digging a little deeper into a few pages, I began to notice that a lot of these deals were a little too good to be true. I could only get in touch with the seller by private message, and there was no website or any contact information available. I took my search to Google and came across a study by The Washington Post entitled, Social Media and Luxury Goods Counterfeit, which identified 20, 892 fake Instagram accounts selling counterfeit goods. The 10 brands most likely to be counterfeited were, Chanel (13.90%), Prada (9.69%), Louis Vuitton (8.51%), Fendi (6.41%), Gucci (6.13%), Dior (5.96%), Celine (5.59%), Hermes (5.51%), Rayban / Oakley (4.90%) and bringing up the rear, Bvlgari (4.49%). With e-commerce being the fastest-growing area in distribution, online sales of luxury items continue to explode all across the world – global digital sales of luxury items were up 9% in 2016 and up a staggering 77% in the last 5 years. On the contrary, this counterfeiting business takes a $29 billion chunk out of the luxury goods sector each year, so it doesn’t appear to be going anywhere, anytime soon. For those of you planning to sell your luxury items online, you’ll have to find a way to authenticate yourself so buyers aren’t skeptical. Counterfeiters have become quite savvy in disguising and duping the unsuspecting buyer. Tiffany & Co. recently announced that they would be suing eBay after finding that more than three-quarters of the items being sold as authentic were actually fake. Be transparent: Contact info is a must! Be sure to answer any and all questions or messages promptly. Don’t rely on seller status to translate to your credibility as an authentic dealer. Use legitimate avenues to check the authenticity of your items before you post them. Consider how many similar items you take in / post / list at once. Educate your buyers: Use photos / video with detailed descriptions, showing label / logo placement, stitching, material, and hardware. Pricing is also a good indicator of authenticity. Ask for reviews: Potential buyers are more likely to purchase your items if you have received positive reviews.